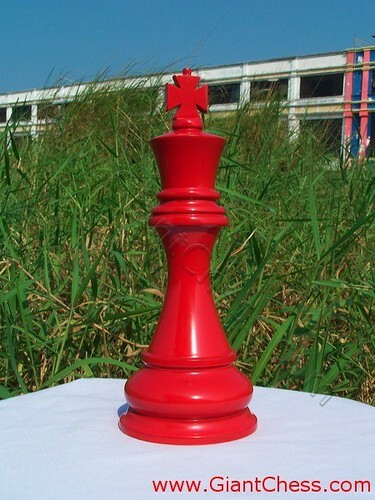 Beside for chess game, this red King chess can also use for house decoration. You can put it in your house, such as in you living room, dinning room, library, children room, or you might to decor your garden in some occasion, such as garden party, outdoor game and another occasions. Why it is red? We try to make something different. If you dream to have another color, we can make it. Our giant chess has made from best quality of Teak wood and polished in glossy red. It make the King looks elegant and attractive. Want to get the blue King? or may be white, yellow, silver, and many more color? You can get it. Just contact us and we will make it for your. Get good price from us, the chess manufacturer.